I've been quiet on the blogging front recently in terms of posting anything except pictures from the wedding, as they make me smile. It's been a really really tough few weeks, in fact, the toughest I've ever had to endure. And I'm hoping that writing this will partly help me to come to terms with what we've lost. I want to blog about this a) because I think talking and being open is an important part of the healing/grieving process, and b) because since our miscarriage I have been overwhelmed with the amount of friends, family & work colleagues who have said "I've been there too". Most of whom I had no idea had suffered in the same way we were. It really is a taboo subject, and perhaps too painful for people to share. However, I think it's incredibly important to know you're not alone in times of despair, and if this post reassures even just one couple, or provides information or awareness then it's done it's job. I cannot express in words properly or effectively how much grief I felt at losing this little person we had wanted & loved so much. And although the pregnancy was only 8 weeks along, the loss we feel is tremendous as it was our baby in there, and our vision of the future. You can't help but get excited when you find out you're expecting... you make plans, think of names, and imagine all the things you are going to do with this baby that you've made with the man you love. It's not just the baby itself that you are grieving but the idea of it too; all those hopes and dreams for your near future are dashed in an instant. I also feel a deep sense of failure, why couldn't I protect this baby of mine & keep it safe until full term? Is there something wrong with me? Will I ever be able to have a healthy baby with my lovely husband? I know all these feelings & emotions are normal, and I'm aware I'm "going through the motions" ... With hormones raging, lifting & dropping all over the place, what with all the physical aspects of suffering a miscarriage it really couldn't be a more traumatic time. I have to say I have found the professional support, information & care aspect of miscarriage both disappointing & lacking in many areas. Simply finding out the best course of action when the pregnancy showed signs of failure was very difficult...a midwife who didn't answer her phone, a hospital without the resources to scan me during the night, having to ring my GP to request a scan as the hospital won't pay unless you're past 20 weeks, having to wait in a waiting room full of happily pregnant women for a scan which I was already convinced would tell me my baby had died, followed by a brutal scan with a consultant who explained nothing properly, made no eye contact with me, was extremely cold & lacked any empathy. It was a truly horrible experience made even worse by the lack of care and understanding. My miscarriage had other complications, which were eventually explained to me, and which will need follow up scans & possible treatment before we begin trying again. This is an added worry & until I know that we're safe, well & ready to try for another baby I don't think my anxiety will settle. Upon being discharged from hospital, I asked the nurse & consultant what to do about the appointment I had already made with my midwife, when i was happily & safely pregnant. (This was the same midwife who didn't reply to any of my calls/distressed messages when the pregnancy began failing!). The appointment was my 'booking' appointment, and was due last Friday, at my home. The hospital staff ensured me they would let all relevant people (my GP, midwife etc) know about the miscarriage & I wouldn't have to worry about any of that. Lo & behold, on Friday morning I get a jolly phone call from the midwife asking if she can come slightly earlier to our arranged appointment at my house!! I had to reply that I didn't think there was a lot of point to her coming & had to explain to her myself that I'd miscarried. No one had informed her like they were supposed to. I hung up from that call & sobbed & sobbed. It was not a position I should have been put in, and another appalling outcome of my treatment by my local NHS. I am in the process of writing an official complaint, but writing this has helped me to process it all again. And inspired me even further to try and make sure other women don't have to experience the failings of the NHS like I have. For women out there suffering in silence please talk to someone, I have sought support from family & friends, and had some medical intervention from my GP to prescribe me some sleeping pills (as I haven't been sleeping since the miscarriage), and some advice to take some time off work to help recover physically & mentally from what's happened. 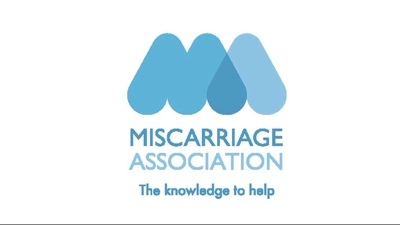 There is also support available on The Miscarriage Association website, and a helpline you can call (web address below). I'd not come across your blog before but saw this RTed on twitter. My heart goes out to you and I really hope blogging has helped. I've been there 3 times myself and it is gut-wrenching. I agree with you about it being such a taboo topic which needs more openness and honesty. Well done on your contribution to this. On a lighter note, I do have 2 gorgeous children as well as the 3 I lost. The perseverance paid off. Thanks again to the lovely comments and support. Thank you Sarah for coming over to have a read, and for your kind words. It is so reassuring to hear from other women who have gone on to have healthy children, I bet yours are so cherished. Wedding Gifts & Baking Therapy!